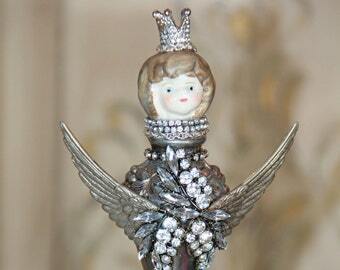 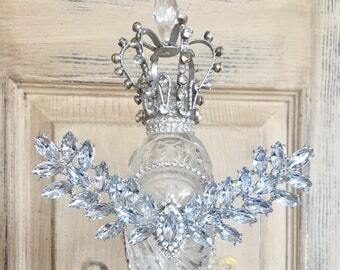 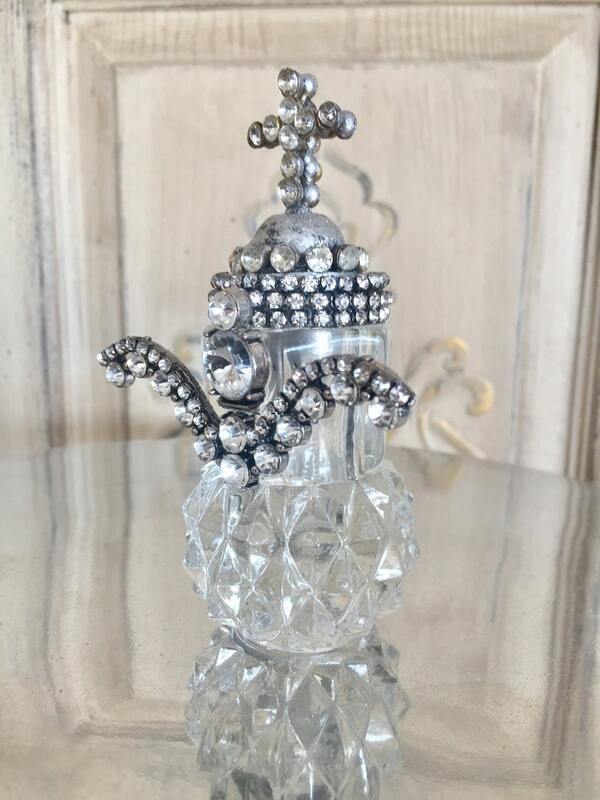 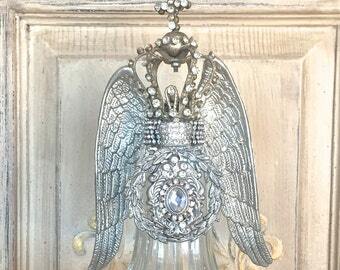 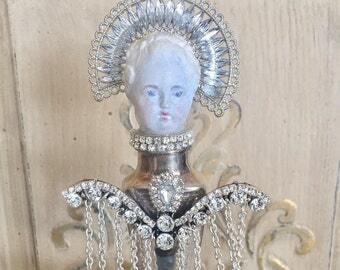 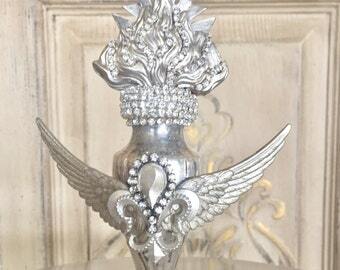 This gorgeous altered vintage silver salt shaker is one in a series of unique hand embellished pieces just added. 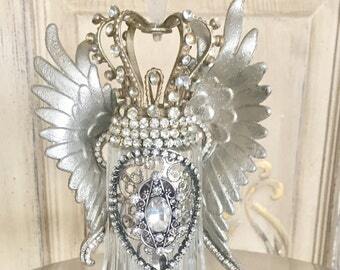 Jeweled angel wings, antiqued cross, rhinestones and crystals have all been applied by hand for a truly original and unique art piece. 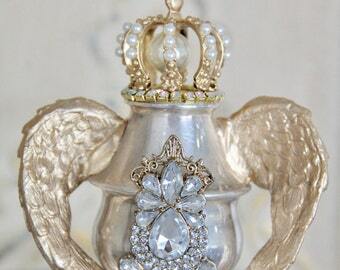 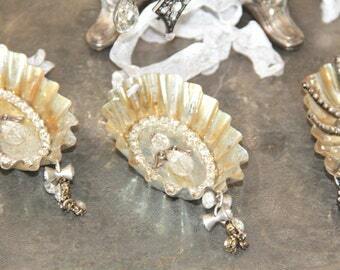 Many levels of detail were added to these vintage pieces. 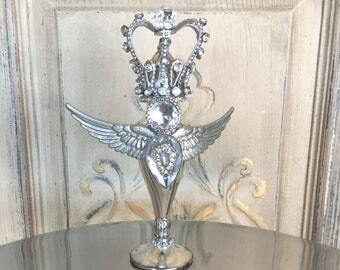 The beautiful patina has been preserved while adding rhinestones and crystals…not forgetting the jeweled embellished wings too!